The biggest exhibition for organic products in Europe – BIOFACH 2016 took place in Nurnberg from 10th till 13th of February. For a fifth year in a row Smart Organic was one of the exhibitors at the fair. This year the company was presented on three different stands – one for the raw bars under the brand Roobar, one entirely dedicated to new products and a cosmetic stand at the Vivanes – the hall for innovations in organic cosmetic. Most interesting for the visitors were the new innovative products which Smart Organic introduced – Apple Chia Cider, Sachets with Superfood Mixes for single use and vegan cookies Kookie Cat, which were tasted at the stand. With its unusual and refreshing taste the Apple Chia Cider quickly turned into visitor’s favorite choice. On the other side, the Vegan cookies Kookie cat were winning new fans due to their fantastic taste and catchy packaging design. Smoothies made of the sachets with superfoods mixes and the new tastes of the raw bar line Quin Bite were tasted as well. All products are due to be launched worldwide as of 1st of April. 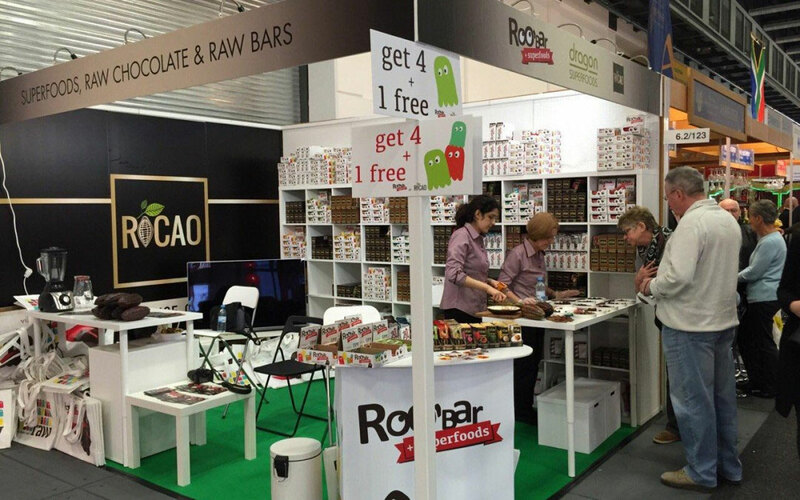 This year again the Roobar raw bars established themselves as the best recognized brand and the first choice in their category. The fans of Roobar were queuing up to visit the stand of their favorite brand during all four days of the expo. The cosmetic brand Wooden spoon received a positive feedback as well. The brand was presented for the first time at an exhibition of this kind. Created according to a proverb saying “If you don’t eat something, you don’t put it on your skin”, Wooden Spoon fascinated all visitors as the only edible cosmetic presented at Vivanes . This year BIOFACH hit a record number of visitors – 48 000 people from 132 countries. There were 2 544 exhibitors at the expo, 245 of which were showcasing their products at the cosmetic hall Vivanes. BIOFACH is a leading international event presenting innovations and trends in the organic food and cosmetic field at a global scale. Biofach 2016 – Meet you there! The organic trade meets at the organic exhibition in Nuremberg from 10 – 13 February 2016. Organic is more than a label or certification: organic stands for quality and conviction – for the responsible use of nature’s resources. BIOFACH in the Exhibition Centre Nuremberg is the place where people share their passionate interest in organic food, get to know each other and exchange views, and this for more than 25 years! Join us in a world of organic products and taste. As a visiting professional you can meet organic producers from the international organic market and be inspired by the sector’s latest international trends. Enter the world of organic food – into organic. 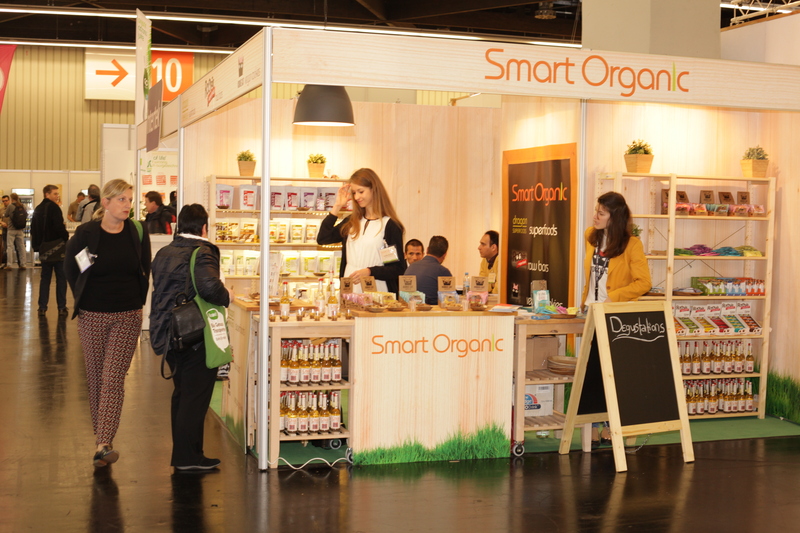 Bulgaria’s leading producer and distributor of organic food products Smart Organic took part in the “International Green Week 2016” exhibition in Berlin, Germany. 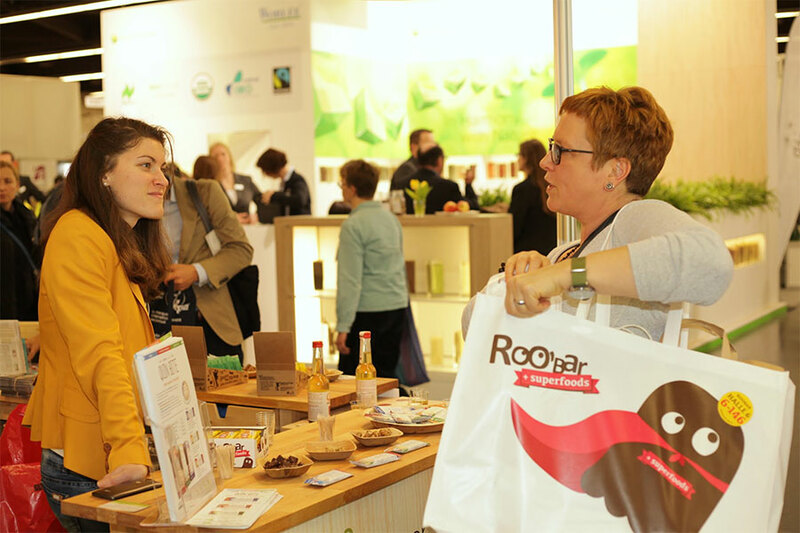 The company, which produces the organic raw bars “Roobar” as well as a portfolio of packaged superfoods under the brand “Dragon Superfoods”, had a separate stand at the exhibition. At the stand it also offered raw chocolates “Rocao”, to which the company is an official representative. The exhibition, which marked its 90th anniversary, was visited by over 400,000 people in ten days. From January 15th until January 24th every organic food and agriculture enthusiast had the opportunity to explore the stands of over 1600 exhibitors from 65 countries and participate in conferences and various other events organized in cooperation with leading industry representatives. For Smart Organic this was the first of many exhibitions in 2016. From January 24th until January 27th the company will present its raw bars “Roobar” at one of the biggest international sports exhibitions – the “ISPO 2016” in Munich. Afterwards it will participate in the biggest organic foods and cosmetics exhibition in Germany – “Biofach 2016”, as well as several other exhibitions in the U.S. and the UK. In the beginning of February Smart Organic published its annual report for 2015. Its sales grew 97% year-on-year to BGN 16.8 million. This growth was triggered by new markets penetration, as well as by the strengthening of the company’s position in the markets it is already present. 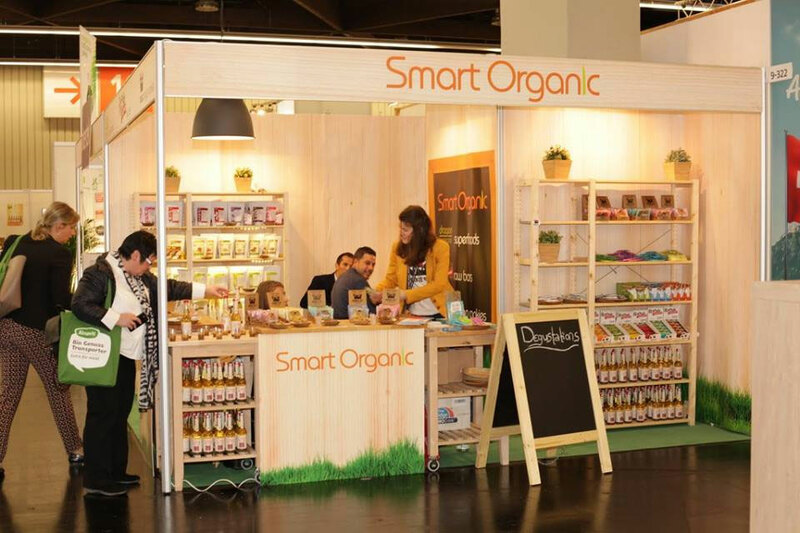 In Bulgaria Smart Organic’s sales grew by 45% in 2015 compared to the previous year. The company’s products are now offered in all major food retailers, petrol stations and specialized organic stores. The sales in the company’s franchise store chain, Zelen Bio, have also increased. In 2015 the online platform of Zelen Bio was upgraded, giving customers an opportunity to shop quickly and easily at a time of their convenience. 2015 was also successful for Smart Organic’s international trade, as the company continued its expansion and entered seven new markets. At the end of the year its products were offered in 45 countries worldwide. In 2016 the company plans to enter the Romanian market with trade representatives of its own. In Europe Smart Organic continues to be mainly focused on the markets of Germany, the Scandinavian countries, Benelux and the UK. The company’s most successful brand – RooBar – was listed in some of Europe’s major food retail chains, including Germany’s leader EDEKA, Metro (in Germany and Bulgaria), DM (in Germany and Bulgaria), and others. Smart Organic is a leading producer and distributor of organic products. We focus on innovative organic food products with additional health benefits. Our conviction is to offer products as close as possible to their natural state while at the same time make them convenient for the consumers.